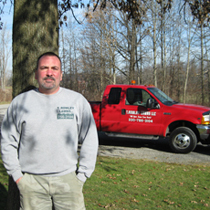 T. Rowley Lawns LLC is a full-service commercial and residential lawn, landscape, and tree care provider offering superior and dependable services in Stark, Summit and Tuscarawas Counties. Our crews of trained and experienced employees provide courteous service, attention to detail, and commit ourselves to the highest of standards. We use professionally maintained, state of the art equipment to deliver the highest quality service. Our goal is to enhance the appearance of your property, to your complete satisfaction. We have been in business for 15 years, and I hope to one day pass T. Rowley Lawns on to my two sons, Todd and Tyler. I believe in the saying "treat others as you want to be treated" and that is how I run this business. I am honest and fair. I believe in quality people and quality work for quality results. Call T. Rowley Lawns today for a free estimate on your lawn! Accepting all major credit cards. © T. Rowley Lawns. All Rights Reserved.